Kolkata: Former champions Mohun Bagan failed to make their 'home debut' count as a 10-man Indian Arrows dished out a spirited show to return with a creditable 1-1 draw in an I-League fixture on Friday. 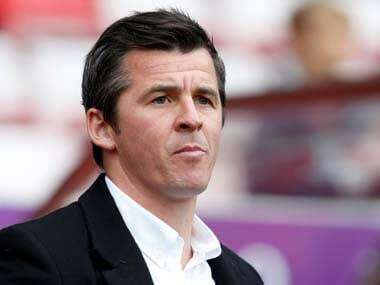 A profligate Mohun Bagan took the penalty route to draw first blood in the 27th minute through Aser Pierrick Dipanda Dicka in what appeared to be a contentious decision by the referee. But their joy was shortlived as the All India Football Federation's developmental outfit restored parity within six minutes in a fine display of passing football with Rahul KP slotting it home. It was Rahim Ali who raced past Kingshuk Debnath and Eze Kingsley from the left before a cool-headed Rahul finished it beautifully getting past the Mohun Bagan defenders. Mohun Bagan stepped up their attack in the second-half and the Arrows got a twin blow — first in the 65th minute when Amarjit Singh Kiyam was sent off and later in the 74th minute when Ashish Rai had to be stretchered off after receiving a head injury. But despite playing with 10-man, the Arrows, who consists of mostly India's under-17 World Cup players, put up a solid show. Goalkeeper Dheeraj Singh also put up a fine save to deny Ansumana Kromah at the stroke of halftime to return with the man-of-the-match award and hand Mohun Bagan a hattrick of draws at home. It was for the first time that an I-League match was held at the Kolkata Maidan and the venue witnessed a near full-house at the 17,000-capacity stadium as the crowd turned up in large numbers, even for a weekday match with a 2 pm kickoff. But disappointed with the result, the crowd booed Mohun Bagan's I-League winning coach Sanjoy Sen with 'go back' slogans while giving a standing ovation to the Luis Norton de Matos' side. "It's natural, and obvious to be disappointed. I'm not blaming them, they have come all the way to see us win at home. How many more opportunities would we have got? We have no excuse. 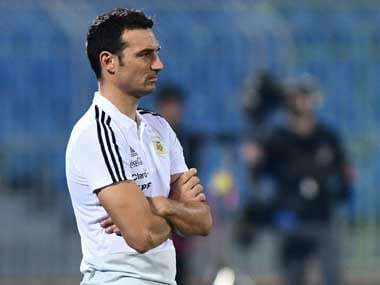 It's more shameful than losing," Sen said referring to their string of draws at home. After six matches, which include four draws, Mohun Bagan now have 10 points, three points clear of Indian Arrows at number six on I-League standings. It was a like a festive atmosphere at the Mohun Bagan ground as hundreds were seen on the lookout for tickets to gain a last-minute entry. Inside the ground, the Arrows youngsters looked impressive and showed good ball possession and even got the first shot at goal with Rahim Ali long-range strike that missed the target. Mariners, on the other hand, wasted some fine opportunities with both their foreigner duo up front — Dicka and Ansumana Kromah — hardly making any difference as they missed Sony Norde badly. The Haitian star forward was still to recover from his knee injury and could be seen watching his team's plight from the gallery. 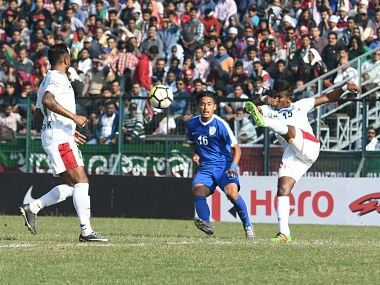 Mohun Bagan got their first opportunity in the 18th minute when Abhishek Das set it up from the right but Kromah failed to make use of the cross. Minutes later, the Liberian missed an open net after a lovely through ball from Dicka. 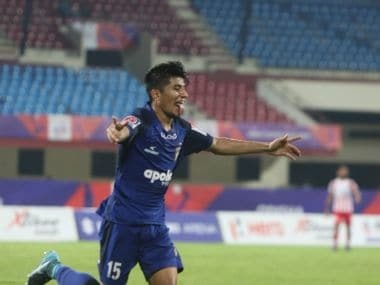 It was in the 25th minute when Nikhil Kadam won a penalty from what seemed like hardly any tackle by Rai inside the box but referee Tejas Nagvenkar thought otherwise and pointed to the spot and Dicka put them ahead. But it did not matter much for the home side as they conceded a goal within minutes with a lovely move by the Arrows boys. After the changeover, Kiyam was sent off following a second booking in 15 minutes as Arrows were down to 10 players in the 65th minute but it appeared to be another harsh decision by the referee. Rai had to be stretchered off after Manandeep Singh hit him on his face with a bicycle kick attempt in the 71st minute as Arrows continued playing with nine players before being substituted. Having shown a yellow for his rough tackle, Manandeep missed a sitter in the second-half after failing to score from close range. Both the teams rung in two changes, most notably being that of Norde who was replaced by Kadam but their defence was bolstered by Kingsley's return from suspension. For the Arrows, Nongdamba Naorem got a start after his incredible 'Messi-like' goal, while Rahul also made it to the side and scored the equaliser.